The owner had read that most people set goals that are too low or, worse yet, never set any goals at all. So he had taken it upon himself to make sure we didn’t underperform. 1. Setting unrealistically high goals has the opposite effect. None of us ever took the goal seriously, so we never even tried to achieve a 40% sales increase. 2. We were never given the tools or activities that it took to achieve a 40% sales increase. We never achieved a 40% sales increase, so we never knew what it took to achieve a 40% sales increase. You cannot set a target without a means to achieve it. 3. Even if we could produce a 40% sales increase with orders, the company could never fulfill the orders. This was a manufacturing company and the capacity of the factories could never, ever produce 40% more product. However, setting activity goals can have amazing results. Ask yourself: “What would I do to achieve a 40% sales increase?” My experience managing multiple sale forces has proven to me that the salesperson who makes the most sales is the salesperson who makes the most sales calls. Yes, it is that simple. You’ll find this to be true in other areas. In sports, Babe Ruth, who led Major League Baseball home runs, swung at everything. He led the league in strikeouts too. You have to hit the ball to get on base. Wayne Gretsky, a famous Canadian hockey player, is the all-time leading point scorer in the National Hockey League. Gretsky took more shots on net than any other player. In hindsight, each of these make sense. Making more sales calls will result in making more sales. Swinging at more baseballs will score more runs. Shooting the puck at the net more times will result in more goals. The genius comes from knowing what activity or activities will develop the results to achieve your targets. 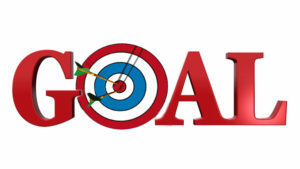 In fact, setting the correct activity goals, in many cases, blows away any targets.